December | 2015 | ARTZCOOL'S BLOG! I’m always looking for an excuse to make something sweet, and luckily this time of year, there is always a great excuse! 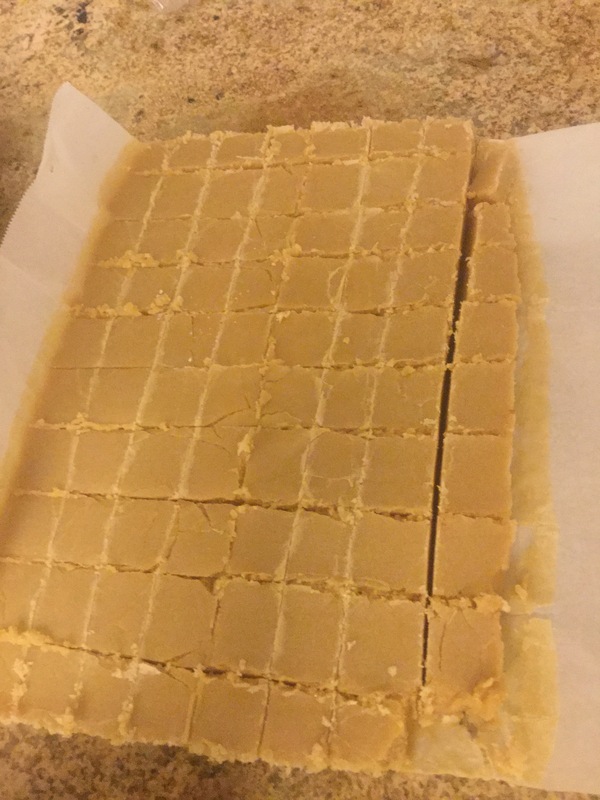 I will share with you some of the chocolates I have been making, but tonight I am more excited about this new recipe I found for Brown Sugar Fudge. 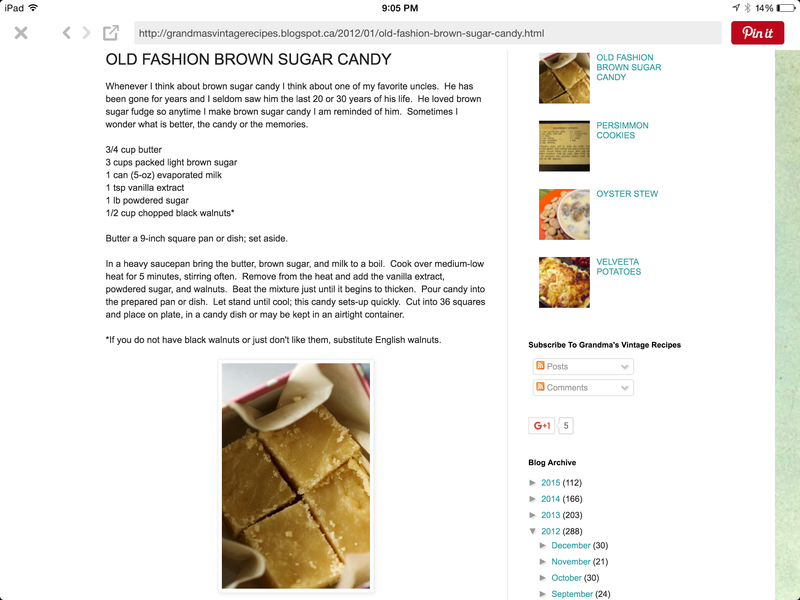 Here is the link for the original recipe…the author of the blog calls is Brown Sugar Candy. Doesn’t matter what you call it… It is delicious! 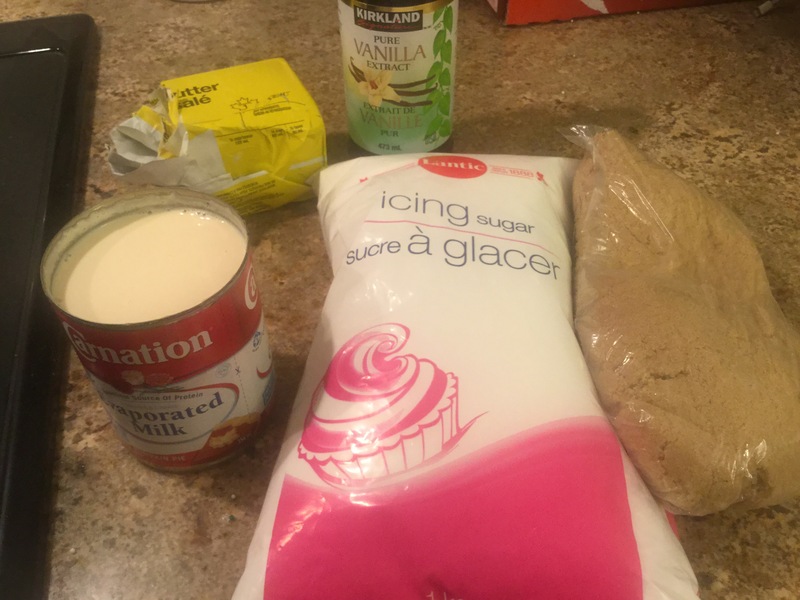 You need butter, brown sugar, evaporated milk, vanilla extract, and icing sugar. Come on, how can that not be delicious… Right? 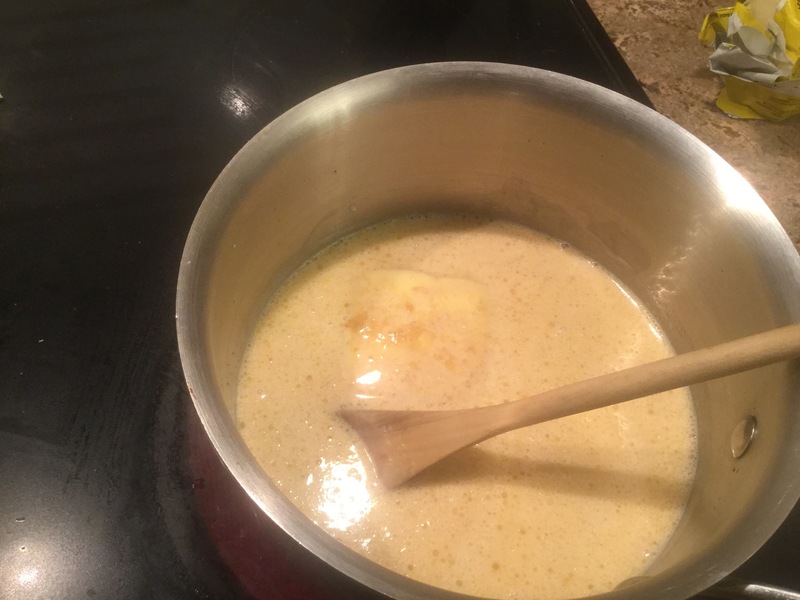 Start by melting 3/4 of a cup of butter, and mix in 3 cups of brown sugar, and a can of evaporated milk. Stir until everything has been dissolved. And, bring to a boil. 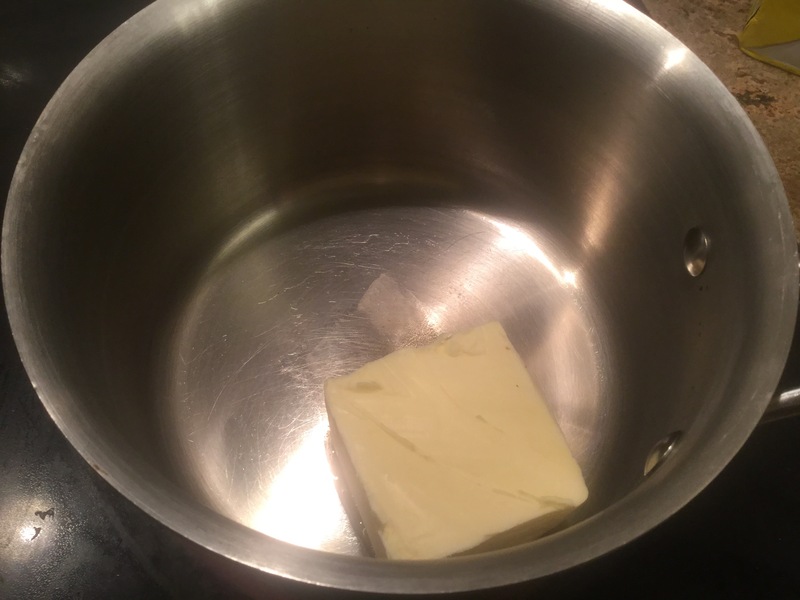 The above picture shows what it looks like before boiling, and the picture below shows what it looks like after simmering for 5 minutes. 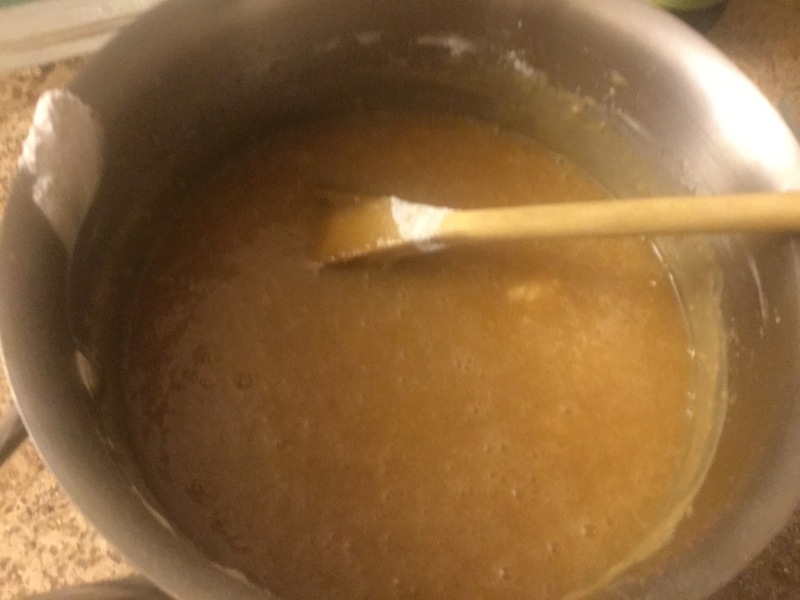 I stirred for most of the time it was boiling. 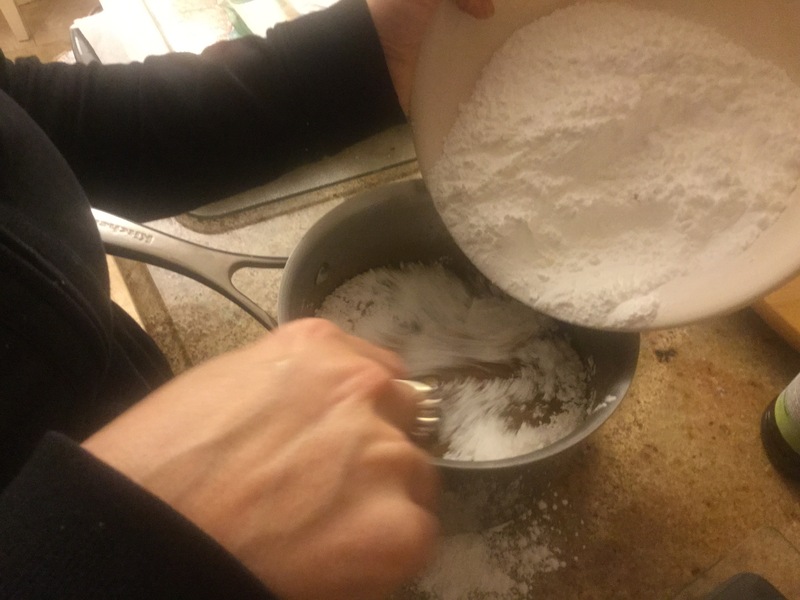 Then, take it off the heat and add a teaspoon of vanilla, and stir it in, then add a pound of icing sugar, and mix well. 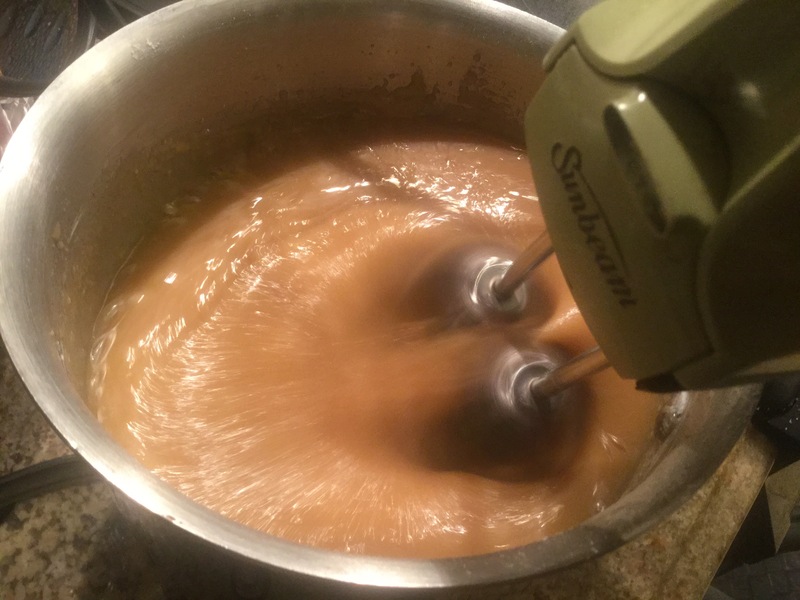 I tried to mix it by hand, but it was all lumpy, so I ended up using my hand mixer. Then I poured it into a 9×13 pan. I lined the pan with parchment paper, and let the parchment hang over the edges so it would come out easier. I left it in the fridge for a few hours, then took it out and sliced it into small squares. You can see a little in the picture that is was a little moist at first. 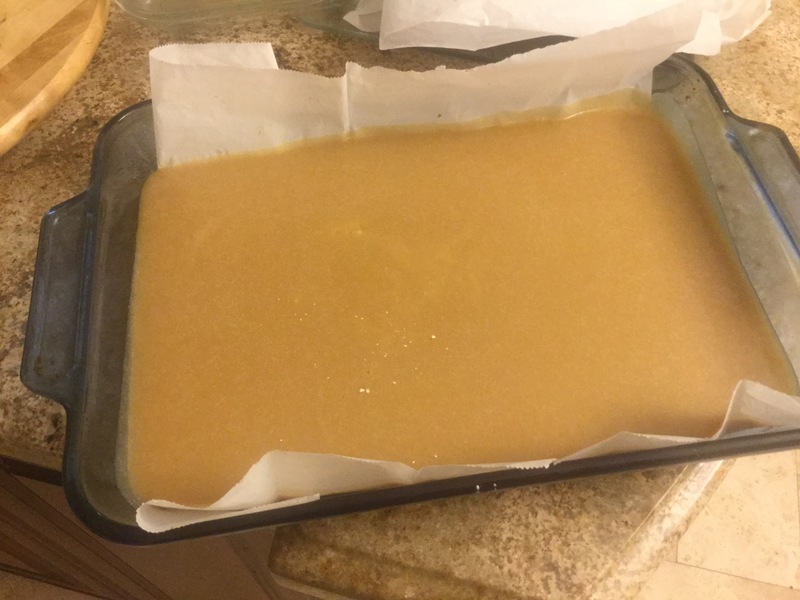 So what I did was put it back in the fridge uncovered for a day, it dried out, and became a little crusty on the outside, just like fudge should be! 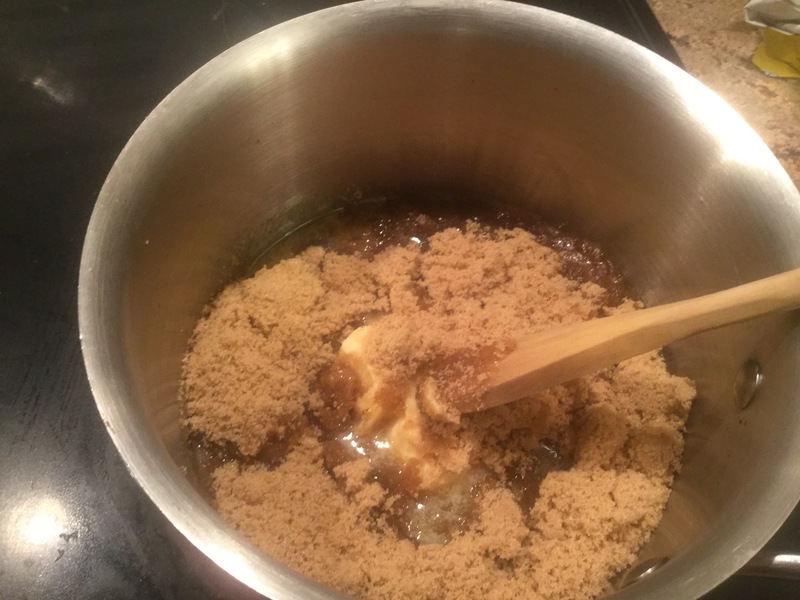 If you have a sweet tooth, or sweet cravings, this recipe is definitely for you! 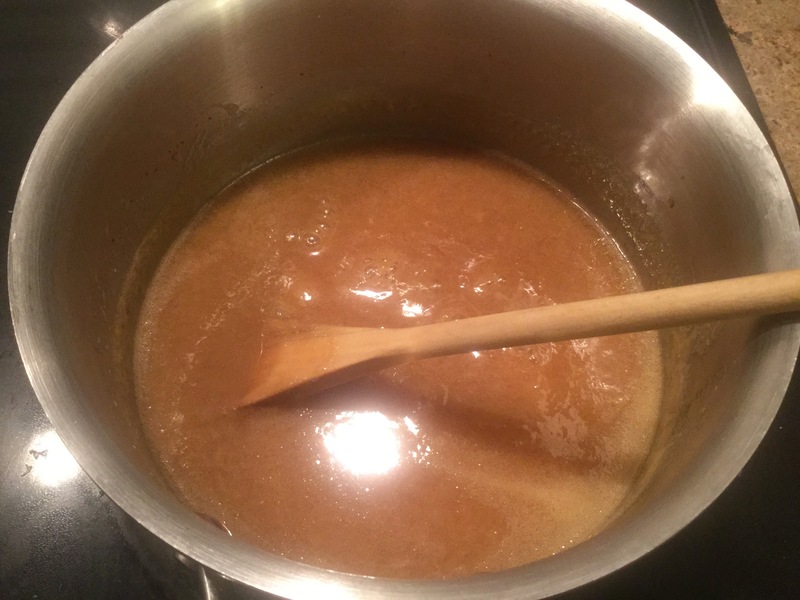 It is sweet, creamy, and tastes just like brown sugar! 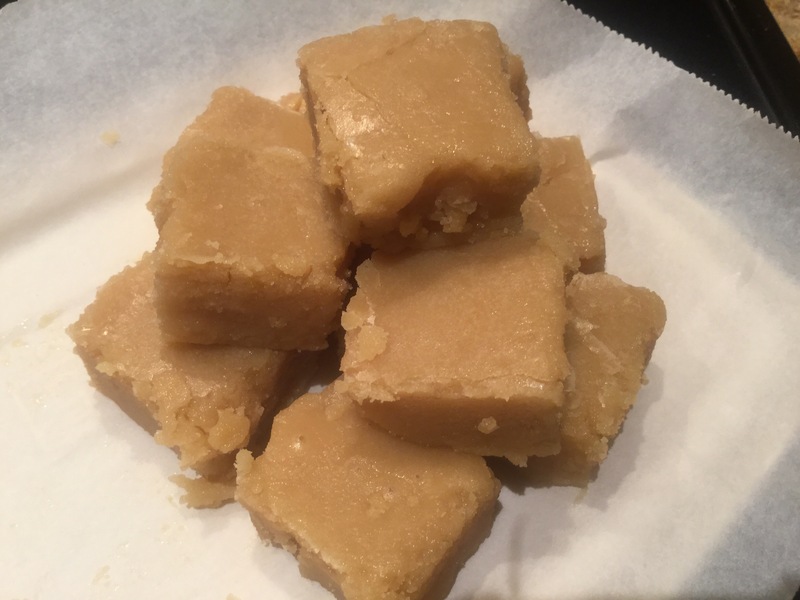 I have made a few different types of fudge over the years, and this might even be my favourite! On Saturday, December 12, 2015 9 a.m. to 4 p.m. Admission Free Come and meet over 35 vendors of particular interest to women. Lots of last minute Christmas shopping ideas and opportunity to network. As well, a chance to learn about and donate to the Yellow Brick House, a shelter for abused women and children. I’ll let you know how it goes! I’m sure I will have some pictures to share!